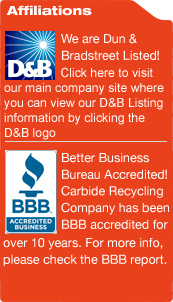 Carbide Recycling Company is proud of our accreditations and listings. We are a Better Business Bureau accredited business. We have been accredited for over 10 years. We are Dun & Bradstreet listed. 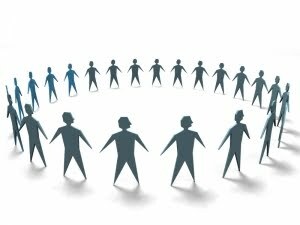 In an effort to build community, form new relationships and expand on current relationships with friends, suppliers and clients, Carbide Recycling Company is pleased to announce our launch into the Social Networking sphere. Find in-depth articles and current news here at our blog, Carbide Scrap. Fan us on Facebook for all the latest information. And stay tuned for more updates as we expand our social media footprint. We look forward to getting to know you all better. Thanks for being part of our community!